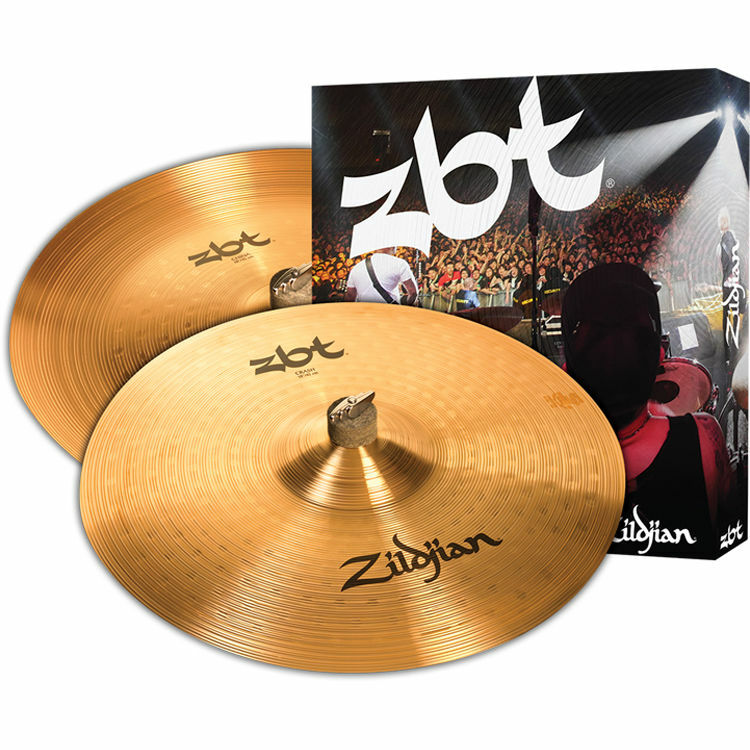 This pre-matched ZBT Expander Pack from Zildjian offers a collection of cymbals with a bright and intense sound that cuts through the mix. It comes with a fast 18" ZBT crash and a "trashy" 18" ZBT china. ZBT (Zildjian Bronze Technology) cymbals are crafted of B8 alloy, using extensive lathing and a traditional finish that give them texture and character. Delivering excellent all-around sound and performance, they are well-suited for budget-minded drummers looking to add special effects and explosive accents to their playing style.